PROFESSOR JOHN Evans Atta Mills, National Democratic Congress (NDC) flagbearer for Election 2004 on Friday accused the ruling New Patriotic Party (NPP) of being incompetent, indecisive and arrogant. “Now the NDC's mature, confident but humble and down-to-earth leadership can be compared against the NPP's arrogance, incompetence, and indecisiveness”, he said in response to media reports on his recent trip to the UK. 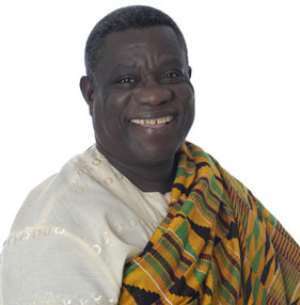 Speaking on what he called “Media Spin” on his visit to the United Kingdom between May 21 and May 25, 2004, Mills said some reports on his trip were figments of the reporters' imagination calculated to rubbish the overwhelming success of the trip, “as my expositions on the ruling New Patriotic Party Administration were factual”. The NDC flagbearer said the members were also lectured on the effect of the last election on Ghanaians as it had afforded the electorate the basis for comparing the two major political parties in the country. Mills said the new NDC with its Social Democratic Agenda embracing the principles of popular participation in decision-making, a market economy with effective and efficient state intervention was highlighted. On the meeting with the Commonwealth Secretariat, the NDC flagbearer said the briefing centred on democratic governance, human rights, rule of law and the justice system in the country. Mills also addressed the Royal Institute of International Affairs (African Division) on the contemporary Ghanaian political and economic situation and the way forward for Ghana under the new NDC. He said: “It is regrettable that the genuine concern for free and fair elections and the legitimate request for Commonwealth Election Observers has been mischievously presented by a section of the local media for obvious partisan ends. “The NDC would continue to speak the truth about the realities of the Ghanaian governance situation and the only way the NPP Government would feel comfortable about our reportage of their performance to the outside world is for them to do the right thing and to speak the truth always,” Mills said. He therefore urged other politicians to consider media attacks and harassment as occupational hazards.